Another card with just paper, ink, and stamps -- my fave. The small butterfly is from The Stamp Market's Papillon set. The sentiment is from Waffle Flower Crafts Balloon Messages. 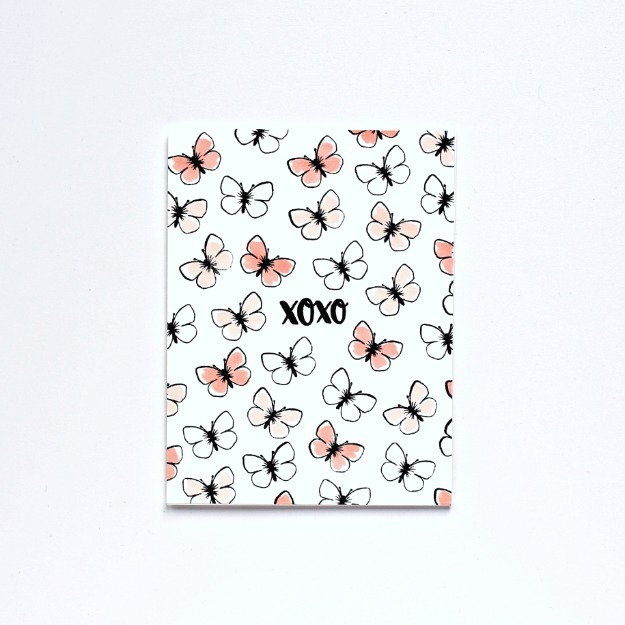 Stamped the sentiment first and then a burst of butterflies (all my butterflies face up because in my world they should...) in Memento Tuxedo ink onto white linen cardstock. Colored some of the butterflies with Altenew alcohol markers Blush and Rouge. I hope to do a review of these markers soon. (And "soon" can mean anytime within the next few weeks!). Since the alcohol markers bleed through the linen cardstock, I adhered the panel to an A2 card. MOOD WHEN DONE: Why does it still feel like Friday when I haven't worked in almost 3 years? Regardless, it is an outstanding feeling! Have a great weekend! 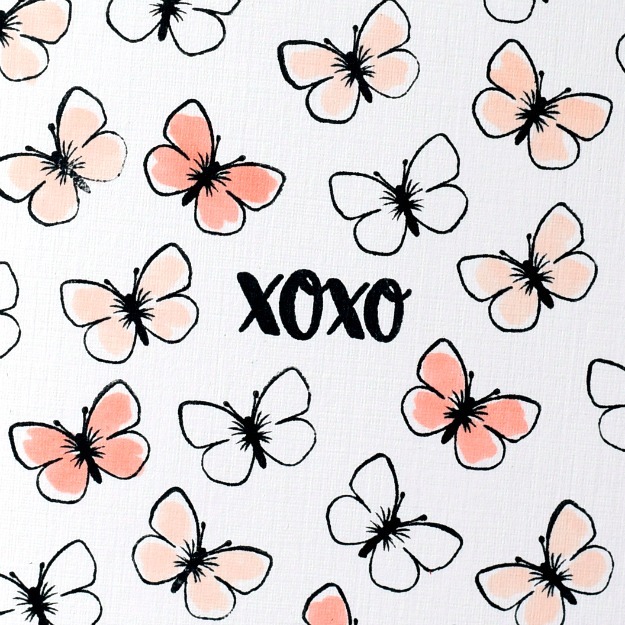 Sweet card, love the multi color (or no color) on the butterflies. I know what you mean...about the Friday feeling. I've been retired 5 years and I still get giddy on Friday afternoons. I want to download this pretty pattern and use it as wallpaper for my PC... and phone! Beautiful card, love the CAS design! Those shades of blush -- what a delicate and lovely way to fill the card front. All your upward facing butterflies are very uplifting. I had to go look at the set. You have an eye for picking the best and then making such good use of your stamps. I really like the way you colored these. I still marvel over retirement. About 2 1/2 years now. Sunday nights and Monday mornings are my favorite days.